The mission of the Awards is to identify and recognise Africa’s most influential male and female leaders. The nomination process for the Awards is an open process with no professional body affiliation required. Nominations are obtained from the business community and individuals during a nomination window which opens on 15 September and runs approximately 13 months. During the course of 2018, just under 4000 nominations across the various sectors were received from across the continent for the 2018 awards. Ali Engelbrecht (CEO Women In Business) offers online one on one mentorship and business counselling for entrepreneurial women. For details please use "contact us". Ali Engelbrecht serves as the Treasurer and is a Director on the Board of the Pietermaritzburg Chamber of Business. Ali Engelbrecht is a Mentor within the Cheri Blair Foundation for Women. For information please Contact Us with details of your requirements. "Contact us" to make arrangements for Ali Engelbrecht (CEO) to present at your next conference, workshop or training sessions. Women In Business was founded in July 2005 and arose from an identified need for entrepreneurially minded women to network, form linkages and create a support base. WIB started in the KZN Midlands area of Nottingham Road. In the urban areas there are a proliferation of formal support structures in the form of women’s organisations and chambers, but there is no support mechanism available in the rural areas. This is where the need is most needed as many women are battling with the various roles and responsibilities they play. In addition to being an entrepreneur, often as a sole trader, they also have families and financial responsibilities. No one person can be all knowledgeable. Business requires constant input and dedication. Without the support and encouragement of fellow entrepreneurs a lot of ladies who are phenomenal entrepreneurs flounder without a network of supportive relationships. The growth of Women In Business has enabled a formal association to be formed with the Pietermaritzburg Chamber of Business and for Women In Business to offer services of its own to entrepreneurial women. WIB has enjoyed 14 years of successes, highs, friendships and relationships. This is an organisation that has grown through the learning curves of its member organisations. WIB has grown in numbers, status and credibility. 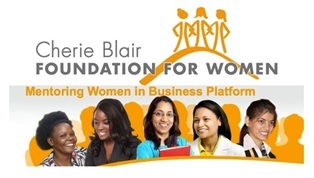 WIB has supported many entrepreneurs through personal and business growth. Members have been recognised and benefitted from many acknowledgements, accolades, awards and credibility through the networks’ and contacts offered by WIB opportunities. WIB prides itself on its own networking initiatives that have built strong and lasting relationships with similar women’s empowerment initiatives. WIB hosts numerous functions and events on a regular basis with partner organisation and members. These functions are exceptionally popular and are always well attended. WIB has been given opportunities to present at national and international women and business conferences, workshops and training sessions alongside and together with leaders and game changers from around the world. 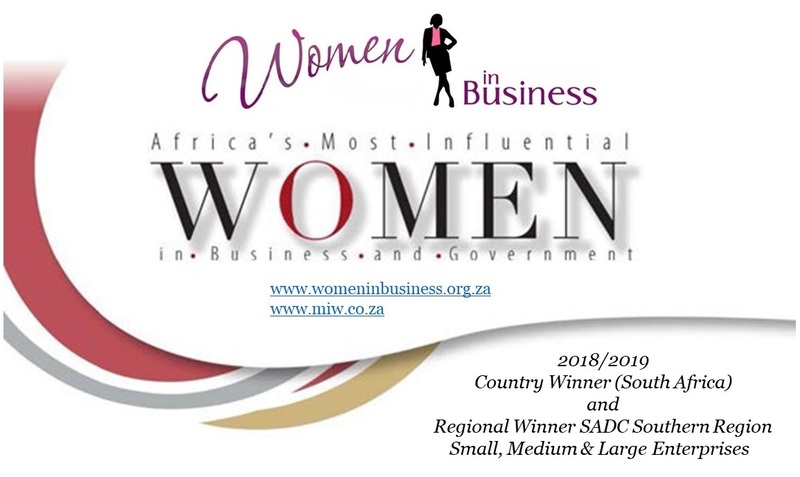 Through WIB, Ali Engelbrecht, was acknowledge for the work it has done in the Social and Welfare Sector by being awarded 2014 Country Winner Africa’s Most Influential Women In Business and Government. Ali Engelbrecht was also acknowledged in 2014 as an Entrepreneurial Pioneer Organisation. Throughout our journey WIB was a autonomous voluntary organisation supported by a voluntary committee. Through the passion and dedication of members WIB has been able to support and encourage many women in their businesses. Our personal support and individual attention has brought us into a formal partnership with the PCB (Pietermaritzburg Chamber of Business). http://www.pcb.org.za/ - this means that from 2016 WIB is an operational partner with the PCB, offering an expanded range of opportunities and networks whilst retaining its independent WIB brand. The good news is that if you are a member of PCB there is NO CHARGE to be part of WIB. If you are not a member of PCB we do encourage you to become a member. For those members who live outside of the geographical area of the Pietermaritzburg Chamber of Business online services are offered to entrepreneurial women on a one on one basis according to requirements and needs.